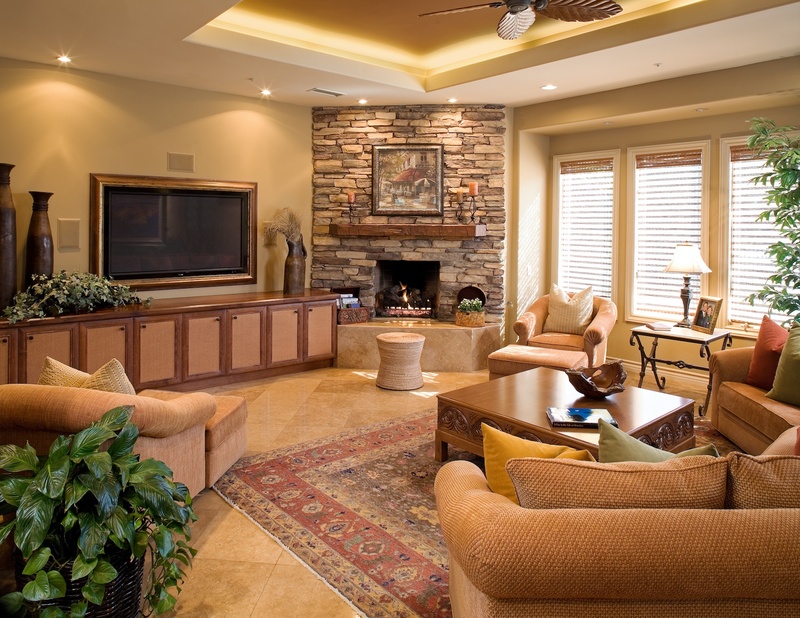 A stacked stone fireplace draws the attention when visitors aren’t watching the 60-inch framed inset plasma TV screen. This residential design project features richly upholstered chairs and sofa custom designed by Jim Walters. "Walters designed a sofa sectional and two accent swivel chairs to encourage intimate conversation while also accommodating large groups watching movies or sports."